On June 17 we graduated our Kindergarten Class of 2014. Congratulations to all our graduates! Their futures are bright and we are proud of their many accomplishments already! Research is showing that investing in early education will pave the way for future success. Over 100 years ago Dr. Maria Montessori championed the cause for a “revolution in society’s approach to human development” (Montessori, 1966). Dr. Montessori subsequently developed a method of education that continues to withstand the test of time, and is proving to be the educational model that is influencing educational reform today. Dr. Montessori designed the Montessori curriculum to encompass three year cycles, birth to three years old, three to six, six to nine, and so on. These age spans are important because of the planes of development that occur during these time periods. The Kindergarten year completes the 3-6 cycle, vital years for the developing mind, and as Montessori says, for the acquisition of “intellectual vigor, independence, and initiative”(Montessori, 2004). This is the age when the child is moving from the concrete stage of learning to the abstract stage, and we want them to make that move by building on the foundation of their Montessori experiences leading up to their Kindergarten year. At Westmont we know that our students will eventually move on to a new environment, we have been following our students transitions for over twenty years. It is important for us to know that our children are moving on with all the necessary skills to experience success. In today’s world great emphasis is placed on academic achievement and teaching to the test. There is a lot of buzz regarding common core standards and New Jersey is one of the states that has adapted the common core into its curriculum. To clarify, the Common Core State Standards are a set of baseline expectations determined by states for each grade level in publicly funded schools. The attention to the common core standards has, in fact, been very beneficial to the Montessori community. The Montessori curriculums, Primary and Elementary, have been examined and analyzed for comparison to the standards and guidelines set by states across the USA. Not surprisingly, the Montessori materials and lessons, when measured and aligned to the core objectives, show that they not only reach the set standards but, exceed them. This is an outcome we are proud to preach and one that will serve to keep Montessori education in the limelight. We are confident our academic curriculum meets the needs of each individual Kindergarten child and that it does indeed make the grade. We continue to be reaffirmed that Dr. Montessori got it right the first time around. We also know that there is much more to educating a child than addressing the academic curriculum, and, we want so much more for our Kindergarten students and indeed all of our students. Our world continues to be complex and challenging and children need to be prepared to function in and adapt to this world. We recognize that our curriculum and philosophy will make this grade also, and facilitate this preparation. We want our Kindergarten students to reap all the benefits of this preparation in a year when so many things come together for them. We want to give ample time for fine tuning their problem solving, critical thinking and reasoning skills. We want to highlight their leadership potential. We want to continue to help them develop empathy, and be community minded. We want to emphasize their creativity, curiosity, and communications skills. We want them to learn from their mistakes, and be confident in their own abilities. We want to build upon the skills that are developing and fully support their preparation for life. When all is said and done, we want to have lived up to our vision of helping each child reach his potential at this critical juncture. We want to send our Kindergarten students into the world as resilient, responsible, confident citizens. Within the child lies the face of the future – Dr. Maria Montessori. - Montessori, M (2004). The Montessori Method. New York: Rowman & Littlefield publishers. PITTSBURGH—Maps, number lines, shapes, artwork and other materials tend to cover elementary classroom walls. However, new research from Carnegie Mellon University shows that too much of a good thing may end up disrupting attention and learning in young children. Published in Psychological Science, Carnegie Mellon's Anna V. Fisher, Karrie E. Godwin and Howard Seltman looked at whether classroom displays affected children's ability to maintain focus during instruction and to learn the lesson content. They found that children in highly decorated classrooms were more distracted, spent more time off-task and demonstrated smaller learning gains than when the decorations were removed. "Young children spend a lot of time — usually the whole day — in the same classroom, and we have shown that a classroom's visual environment can affect how much children learn," said Fisher, lead author and associate professor of psychology in the Dietrich College of Humanities and Social Sciences. Should teachers take down their visual displays based on the findings of this study? "We do not suggest by any means that this is the answer to all educational problems. Furthermore, additional research is needed to know what effect the classroom visual environment has on children's attention and learning in real classrooms," Fisher said "Therefore, I would suggest that instead of removing all decorations, teachers should consider whether some of their visual displays may be distracting to young children." For the study, 24 kindergarten students were placed in laboratory classrooms for six introductory science lessons on topics they were unfamiliar with. Three lessons were taught in a heavily decorated classroom, and three lessons were given in a sparse classroom. The results showed that while children learned in both classroom types, they learned more when the room was not heavily decorated. Specifically, children's accuracy on the test questions was higher in the sparse classroom (55 percent correct) than in the decorated classroom (42 percent correct). "We were also interested in finding out if the visual displays were removed, whether the children's attention would shift to another distraction, such as talking to their peers, and if the total amount of time they were distracted would remain the same," said Godwin, a Ph.D. candidate in psychology and fellow of the Program in Interdisciplinary Education Research (PIER). However, when the researchers tallied all of the time children spent off-task in both types of classrooms, the rate of off-task behavior was higher in the decorated classroom (38.6 percent time spent off-task) than in the sparse classroom (28.4 percent time spent off-task). The researchers hope these findings lead to further studies into developing guidelines to help teachers optimally design classrooms. The Institute of Education Sciences, part of the U.S. Department of Education, funded this research. Last fall, CMU launched the Simon Initiative to accelerate the use of learning science and technology to improve student learning. Named to honor the work of the late Nobel Laureate and CMU Professor Herbert Simon, the initiative will harness CMU's decades of learning data and research to improve educational outcomes for students everywhere. Published in Psychological Science, CMU researchers looked at whether classroom displays affected children’s ability to maintain focused attention during instruction and to learn the lesson content. 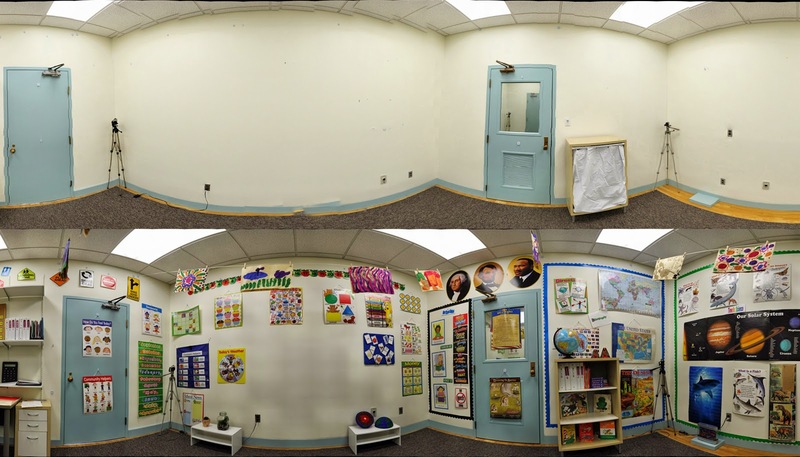 They found that children in highly decorated classrooms (bottom image) were more distracted, spent more time off-task and demonstrated smaller learning gains than when the decorations were removed (top image). One question that parents frequently have is how they can work with their children at home to help them build a foundation for reading. The answer to this question varies depending on your child's reading stage. You may find that activities in one area below may be best for your child, or you may find ideas that work in all of the sections. The most important thing is to follow your child’s lead; if she loses interest in a book or becomes frustrated, move on to something else. Time with a book should be a cherished and fun activity. As you read, discuss what is happening in the book. Make predictions, ask questions, and talk about the illustrations. Have a family reading time where everyone reads or looks at their own books. 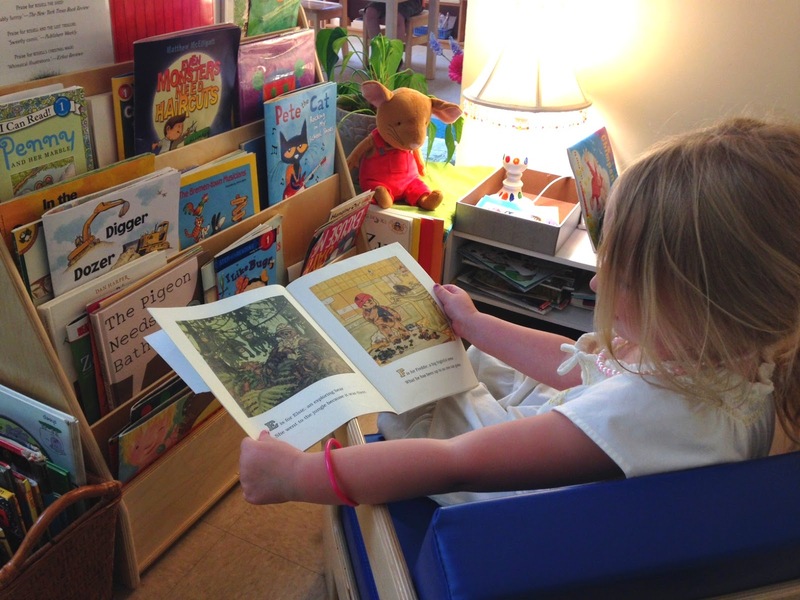 Children model what they see, so make sure you are a reader too! Read, read, and reread those favorite books over and over again. Children can take great comfort in a familiar story and will begin to learn the patterns of books as they become more familiar with them. Read different types of books to your child including nonfiction, story collections, and poetry. Point out words while you are out. There are opportunities to read everywhere! Take a “picture walk,” looking through the pictures of the book before reading and have your child make predictions about what they think will happen. This exercise makes children active participants in the story. Echo read with your child. You read a sentence or phrase, pointing to each word as you read, then your child repeats, also pointing to the words. Listen to audio books while following along with the text. Choose books that have tongue twisters and rhyming patterns so your child can start looking at similarities in words. Read several books by one author and compare/contrast them. Make a game of looking for certain types of words in a book: rhyming words, compound words, etc. Ask questions at the conclusion of stories to build comprehension skills – What was your favorite part? Have you ever felt like that? Remember the time we did something similar? Why do you think (character) did that? Pick books that are at the right level, so as not to be frustrating. Your child should be able to read 95% of the words without errors and be able to talk about the book when complete. Sometimes a child can fluently read the words on the page but will have a hard time retelling the story. Comprehension is just as important as fluency, so if accuracy or comprehension are too difficult or easy, adjust for next time. 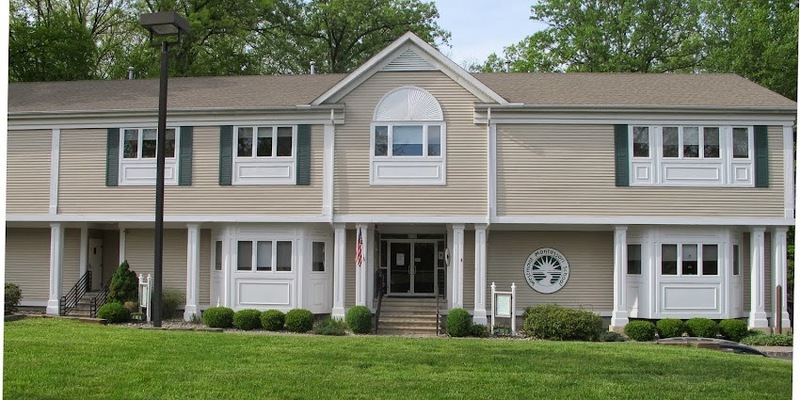 The Westmont Montessori School provides an environment that fosters independence, self-esteem, integrity, and personal responsibility. Our Montessori philosophy empowers each child by providing the foundation to excel academically, to develop respect for self and others, and to value the world in which we live. The Westmont graduate is a capable young person who is inspired to learn.